You are here: Home / Events / Thank you to WHSV-TV3 for covering Great Community Give! http://www.tcfhr.org/wp-content/uploads/2018/04/WHSV-TV3-logo.jpg 98 311 Ann http://www.tcfhr.org/wp-content/uploads/2015/05/tcf-logo.png Ann2018-04-18 15:39:262018-04-18 15:39:26Thank you to WHSV-TV3 for covering Great Community Give! 1 on 1: Great Community Give is coming up! 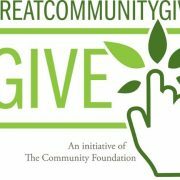 GreatCommunityGive a huge success!